The UN agency for Palestinian refugees issued a response this week to an Israeli TV channel's claim that Palestinian militants had used UNRWA facilities to fire rockets at Israel during its war on Gaza. During a recent interview, a reporter from Israel's Channel Two News claimed that during Operation Cast Lead in 2008-9, Hamas militants had been operating from inside UNRWA installations and attempting to fire rockets at Israel. The popular Israeli news channel did not provide any evidence to substantiate the claims made by its reporter. "We heard this misinformation during the war when there was shelling on and around the Agency’s schools and our main warehouse in Gaza," UNRWA spokesman Chris Gunness said in a response that was published by Israel's Channel Two News. "There has never been any evidence produced to show that during the Gaza war militants were firing rockets into Israel from UNRWA installations," he added. Channel Two News said its publication of UNRWA's response to did not amount to a retraction, saying UNRWA's statement to that effect was "misleading". But Gunness notes that the report's amendment is the third of its kind by major news organizations in the last several months. "I want all journalists to know that these falsehoods will be confronted and that shoddy journalism will be exposed," he told Ma'an. The Australian Broadcasting Corporation, ABC, was forced last week to issue an apology, correction, and clarification to a report about UNRWA after a complaint from the Australian Labor Member of Parliament for Fremantle, Melissa Parke, UNRWA said. The ABC broadcast contained factual errors and unsubstantiated claims about UNRWA’s neutrality, which were made by a far-right ideologue, UNRWA said. The agency said ABC admitted that the report "did not meet the requirements" of its Code of Practice and expressed its "regrets for this lapse in standards." "This was an outrageous attack on UNRWA, a neutral UN agency that does essential human development and humanitarian work with some of the most disadvantaged, in one of the world's most unstable regions," Parke said. Chris Gunness called the retractions a "decisive victory in the battle of narratives" concerning misinformation about the Gaza war. Israel's military offensive on the Gaza Strip destroyed 18 schools and damaged over 280, a report by human rights agencies said a year after the war. Three teachers and 86 children registered with UNRWA were killed in Operation Cast Lead, a three week offensive on the Gaza Strip which left nearly 1,400 Palestinians dead, including 300 children. At the height of the war, nearly 60,000 people took refuge in UN facilities, including UNRWA schools. Despite having been given the GPS coordinates for all UN installations in Gaza, Israeli forces launched airstrikes on UN facilities, including the use of white phosphorous. According to UN figures, Israel's military destroyed over 3,500 residential homes and made 20,000 people homeless during the 22-day assault. UN Secretary General Ban Ki-moon expressed "outrage" in 2009 after Israeli shelling in and around UNRWA schools. Ehud Barak, Israeli Defense Minister during the conflict, said the shelling of an UNRWA warehouse was a "grave mistake." The Israeli institute for the national security studies said the military operation "Cast Lead" that was waged against the Gaza Strip in 2008 and 2009 cannot be deemed as a victory in the war against Hamas. According to Al-Quds Al-Arabi newspaper, the institute added in a report that the last war on Gaza proved that Al-Qassam Brigades, the armed wing of Hamas, turned into an organized military force knowing how to handle guerrilla warfare. It said Hamas made great efforts to transform its armed wing to what looks like a regular army in terms of military structure and equipment. Its report recommended that the Israeli decision-makers should not doubt or minimize Hamas's ability to learn from its experiences. It also urged the Israeli government to work on increasing its military arsenal and organizing its army. The Palestinian Centre for Human Rights said in a press release that in further evidence of the Israeli judiciary's complicity with impunity, and a continued denial of access for Palestinian victims to justice, the Israeli Central Court in Nazareth issued a decision on 05 September 2012 dismissing a claim filed on behalf of the al-Daya family, who lost 22 family members during the Israeli offensive on the Gaza Strip known as "Operation Cast Lead." The court claimed that the victims were killed in the course of a military operation and Israel is not responsible for their deaths. The Palestinian Centre for Human Rights (PCHR), in its capacity as the legal representative for the only surviving member of the family, was informed of the decision on 10 September 2012. 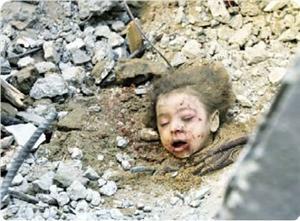 Amani Muhammad Faiz a-Dayah, 6 Israeli newspapers quoted the Israeli judge: "The casualty was not intended. In all wars, there are mistakes that may lead to deaths on both sides. In wars, each party is fully responsible for the damage incurred to its members or to civilians, but not the damage incurred to the other party." In the context of "Operation Cast Lead," the Israeli Occupation Forces (IOF) bombarded a house belonging to Fayez Misbah al-Daya in al-Zaytoun neighborhood in the east of Gaza City. The three-story house was destroyed, and 22 out of its 23 inhabitants were killed. 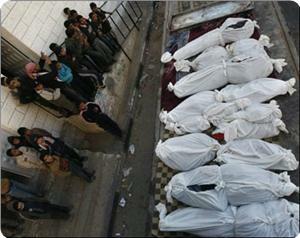 PCHR has followed the case of al-Daya family since 23 January 2009. 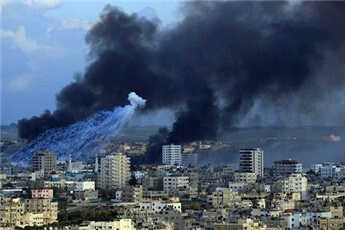 On 11 February 2009, PCHR submitted a civil complaint to the Compensation Officer of the Israeli Ministry of Defense. On 18 May 2009, PCHR submitted a criminal complaint to the Israeli Military Prosecutor. PCHR did not receive any response to these complaints, so it filed a claim before the Israeli courts on 19 August 2010. It should be noted that, in July 2009, the IOF admitted that "false intelligence led Israeli fighter jets to bombard the house of the al-Daya family, which left 22 of its members dead." responsibility by claiming that the victims were killed in the context of a military operation; these victims were civilians, who are protected under the Fourth Geneva Convention. Israel's recognition of their mistake indicates that the IOF did not take the necessary precautions during the attack required by international standards, including confirming that targets are not civilian objects or persons. The criminal nature of the attack, which resulted in the death of 22 members of a family, including 13 children, and 6 bodies that have never been recovered, is unchallengeable. This new decision by the Israeli courts further evidences the Israeli judiciary's complicity with crimes committed by the IOF. It also further confirms PCHR's conclusion, gained through practical experience in the Israeli courts, that the Israeli judiciary systematically covers up crimes committed by the IOF to prevent accountability. Moreover, this emphasizes PCHR's fight for universal jurisdiction, as a step towards achieving justice for Palestinian's who are clearly denied access to effective remedy in the Israeli courts. PCHR will appeal this decision and exhaust all possible legal means to ensure justice, especially as the court based its decision on the 8th amendment to the Tort Law – State's Liability, which was adopted in July 2012, and which defines an act of war. In his decision, the Israeli judge quoted articles regarding when the above amendment entered into force, but ultimately applying a new definition of an act of war to the subject of this claim even though there is an explicit provision that the amendment will not be applied retroactively, which means that its application to the case of the al-Daya family is illegal. The Israeli central Court rejected a lawsuit filed by human rights organization from Gaza, on behalf of Daya family which lost 22 of its members during the war on Gaza. The Palestinian Center for Human Rights said in a statement on Tuesday that the rejection decision represents "a continuation to the series of denial of justice for Palestinian victims." It pointed out that the occupation court justified its decision on the grounds that the martyrs had died during a military operation and that the occupation forces are not responsible for that. Hebrew newspapers also quoted the Judge as claiming: "The injury was unintended. In all wars errors occur that may kill people from both sides. During wars each party shall bear full responsibility for the damages on its elements or on civilians". The occupation forces had bombarded on January 6, 2009, during its aggression on the Gaza Strip and known as "Operation Cast Lead", a house belonging to Fayez Mesbah Daya, located in Zeitoun neighborhood in Gaza City, resulting in destroying the house and killing 22 members of its inhabitants. The human rights center noted that the court's issued such decision despite the confession made by occupation army in July 2009, that "faulty intelligence information led to shelling Daya family's house by Israeli warplanes", stressing that the Judge's logic cannot be accepted as the victims were civilians and protected under the fourth Geneva Convention. The Palestinian Centre for Human Rights (PCHR) was able to secure reparation for the family of Kassab and Ibrahim Shurrab, who were killed by the Israeli Occupation Forces (IOF) during "Operation Cast Lead" (27 December 2008 – 18 January 2009). PCHR was able to conclude a settlement of 430,000 NIS (approximately USD 107,500) with representatives of the Israeli military prosecution, which will be paid to the victims' family within the upcoming weeks in return for the closing of their claim. On 16 January 2009, the IOF opened fire for no reason and without prior warning at the car Mohammed Kassab Shurrab and his two sons – Kassab (28) and Ibrahim (18) – were traveling in, during a humanitarian truce declared by the IOF to allow Palestinian civilians to obtain necessary goods. As a result of the Israeli gunfire, the car collided into a wall. Shortly after, Israeli soldiers stationed in a nearby house headed towards the car. They ordered Mohammed Kassab Shurrab and his two sons to get out of the care before they began firing at them. Kassab was killed instantly and Ibrahim was wounded in his leg by a bullet. 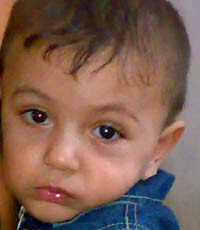 The following day, Ibrahim died as the IOF denied him access to medical treatment. After PCHR was authorized on 08 March 2009 to be the legal representative for the Shurrab family, PCHR submitted a civil complaint to the Compensation Office of the Israeli Ministry of Defense, according to applicable legal procedures, demanding compensation for the family. It also submitted a criminal complaint to the Israeli military prosecution – the Southern Command – demanding that an investigation into the crime be opened and that all responsible Israeli soldiers be held accountable. 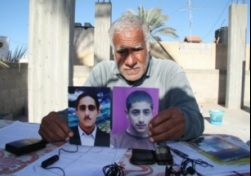 As PCHR did not receive any response to either the civil or criminal complaints and was concerned that the family would lose their chance for justice before the end of the two-year statute of limitation period enforced by Israel, on 19 August 2010, PCHR filed a compensation claim before the Haifa Magistrate Court demanding compensation for the Shurrab family for the killing of their two sons by the IOF. PCHR supported the claim with documentary evidence supporting its argument that the IOF were unequivocally responsible for the deaths of the two civilians, which forced the Israeli prosecution to seek a settlement to close the claim. This is the second case in which PCHR was able to ensure compensation through a settlement with the Israeli prosecution for victims of "Operation Cast Lead" in the Gaza Strip. In July 2011, PCHR was able to reach a similar settlement, under which the Abu Hajjaj family obtained 500,000 NIS as financial compensation for closing the case of Raya Abu Hajjaj (64) and her daughter Majida (37), who were killed by the IOF during "Operation Cast Lead." Speaking at conference on Operation Cast Lead defense minister says that 2009's military campaign could have ended 10 days earlier than it did. Defense Minister Ehud Barak said Friday that should the cabinet give the order, the IDF could overrun Gaza Strip. Speaking at a conference focusing on the Operation Cast Lead decision making processes, Barak added that "If the cabinet deems it needed, the IDF can conquer and rule Gaza." Elaborating on the 2009 military campaign, which was launch following incessant rocket fire on Israel's south by Gaza terrorists, Barak noted that "There was no need to drag the fighting for 22 days. That lesson is true for other things as well." Barak elaborated on various issues regarding the planning, execution and lessons of the Gaza operation, noting that the IDF's withdrawal from the Strip was late: "We could have pulled out 10 days earlier," he said. He commented then-IDF Chief of Staff Gabi Ashkenazi and then-GOC Southern Command General Yoav Galant, saying that they "Headed the operation in a calm, confident manner, according to all set objectives." During the conference, the defense minister made sure to skirt the issue of a possible strike against Iran's nuclear facilities, saying only that Israel "must maintain a clear vision when setting its targets and the private discussion on the matter must be honest." A Jaffa military court approved a plea bargain reached between the prosecution and Staff Sgt. S., a Givati Brigade soldier who was indicted in 2010 for shooting a 64-year-old Palestinian woman and her 35-year-old daughter to death. The plea bargain included reducing the charges against the former soldier from manslaughter to illegal use of firearms. S. received a reduced sentence of 45 days in prison after pleading guilty. The incident was recalled in the United Nations-initiated Goldstone Report into Israel’s crimes during the 2008-2009 aggression on Gaza Strip. The court approved the defense team's claims that there was no evidence that the women died in this incident. The Goldstone Report, issued in September 2009, accused Israel of deliberately targeting civilians in Gaza during its aggression. However, Goldstone retracted this accusation in April 2011. An Israeli soldier accused of shooting a Palestinian mother and daughter who were holding a white flag during the 'Cast Lead' operation in the Gaza war in 2009 has been sentenced to just 45 days in jail, after reaching a plea bargain with Israel's Military Advocate General (MAG), Israeli media and human rights groups reported on Sunday. 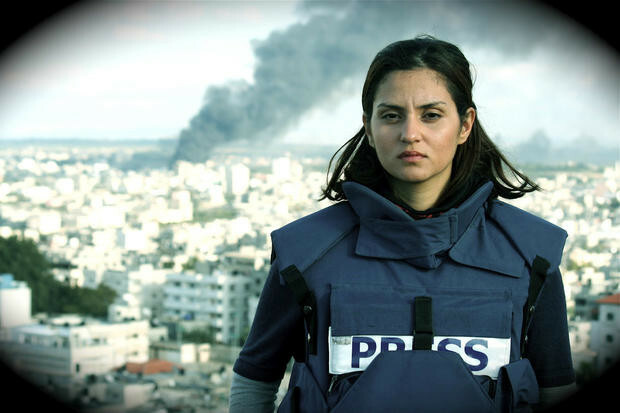 With apparently free access to Al Jazeera footage of the attack, as well as images from the Palestinian news agency Ramattan, the film is extremely graphic and disturbing. Scenes include that of a mother and her two dead children lying side-by-side on a hospital floor; another man screaming with grief as the body of his little girl flops on a blanket; young men lying in the courtyard of a police station hit by Israeli air strikes, each with one hand raised as they say the final prayers of the dying. Less graphic but equally devastating is the interview footage. Rima, a beautiful and intensely dignified young mother, tells Tadros how her children no longer say they are afraid of dying — they just want to make sure that they die along with her so they’re not left alone. John Ging, then a leading figure in UNRWA, speaks with icy fury as desperately-needed food supplies burn behind him. And 16-year-old Ahmad Samouni’s face writhes in pain as he describes lying for days surrounded by the bodies of his family, waiting for the Israeli army to allow ambulances to fetch him. see on YouTube and activist media, but to watch news media footage — where cameramen have often risked their lives to chase the most graphic images, and which has been edited and soundtracked for intensity and impact — for over an hour is hard to stomach, even now. Does one holocaust justify another one? I wrote this article a few years ago to protest Israel's pornographic exploitation of the holocaust memory in order to to blur, or divert attention from, or extenuate her equally evil crimes in the eyes of humanity. Needless to say, such crimes are tantamount to a slow-combustion holocaust. Writing in the Ha’aretz newspaper on Thursday, 28 January, under the title “holocaust remembrance is a boon for Israeli propaganda,” the noted Israeli journalist Gideon Levy accused Israel of employing the holocaust memory as a Public Relations gimmick to divert attention from the savagery and brutality meted out to the Palestinians. But Levy, like many other conscientious observers, know this won’t help the Israeli goal of making the world forget the Palestinians, or more specifically what Israel has done and is doing to them. To be sure, Levy is not against marking the Holocaust day. In fact, he insists that it is an incomparable event. And it may well be so. This introduction is necessary to understand the Satanic game Zionism and its numerous propaganda outlets are playing in order to divert attention from the genocidal brutality Israel is carrying out against the Palestinian people. Today, Jewish-Zionist circles are leaving no stone unturned in order to immortalize the holocaust, not so much to warn the world against the recurrence of such an abomination, but rather to obtain from the world a tacit permission to destroy the Palestinian people either in one fell swoop or step by step. What else explains all this propaganda about the holocaust while the Israeli state and its para-military thugs, otherwise known as settlers, keep up tormenting and savaging the Palestinian people, destroying their homes, stealing their land and denying them access to food and work? In so doing, Israel and its hasbara doctors not only are displaying spasmodic sensitivity toward any comparisons between the German holocaust and the quasi-holocaust being carried out against the Palestinian people, but are also using every opportunity to divert attention from Israeli atrocities in places like the Gaza Strip. In recent days, the Israeli hasbara machine utilized to the fullest the highly-propagandistic rescue mission Israel sent to Haiti in an effort to make the world forget what Israel did to the people of the Gaza Strip last year. But that won’t erase the ugliness from Israel’s face. A child killer’s ugly face will remains ugly even if dressed in a boy-scout’s uniform. An Israeli soldier who murdered babies in Gaza several months ago shall not be transformed into a charitable figure just because he took part in efforts to rescue Haitians from under the quake rubble. A murderer remains a murderer even if he, on his way home, helped an elderly lady mow her lawn. In the final analysis, honest and intelligent people just wouldn’t take it. A country that uses F-16 fighters to rain death on school children and prevents milk from reaching babies in order to make them die by way of starvation is a criminal country even if it dispatches rescuers to Haiti where the propaganda teams are filmed rescuing a few victims from under the rubble. It is always difficult to thank people for doing a favor which they never meant to do in the first place. Zionism has two main goals behind its obsession with the holocaust, an obsession that has been elevated to the level of a religion: First, there is the declared goal, namely to keep the memory of the holocaust alive and to remind the world of what happened to European Jewry at the hands of the Third Reich more than 60 years ago. This is a legitimate goal as humanity must learn from its tragic mistakes in order not to repeat them. We study the day before yesterday in order to understand yesterday and we study yesterday in order not to spoil our tomorrow. Last year, the Israeli army and air force rained death on Gaza for three uninterrupted weeks. Warplanes dropped bombs on unprotected civilians throughout the small enclave. Heavy artillery bombarded homes, schools, hospitals, mosques and public buildings, creating a massive carnage. White Phosphoric fire storms raged over Gaza, incinerating numerous civilians. People fleeing for their lives and carrying white flags were systematically gunned down by Israeli army snipers. This happened as army rabbis were encouraging soldiers to murder men, women and children because this is the way to endear themselves to God.!! There is no doubt that the massive killings and pornographic destruction in Gaza last year was a genocidal act comparable to what was happening during the holocaust. The world shouldn’t raise its eyebrows when such comparisons are made. After all, the attempted annihilation of European Jewry didn’t begin with Auschwitz and Bergen Belsen. It started much earlier with comparatively innocuous things in the early 1930s. And then in 1938, there was the Kirstallnacht, a pre-taste of which the Palestinian people have been and are experiencing at the hands of the children, grandchildren and great grandchildren of the holocaust victims. In short, the holocaust started with very much the type of things Israel is doing to the Palestinians these days. The unmitigated attempted killing and starving of Gaza are merely an epitome of a larger picture which shows the systematic Nazi-like savagery and brutality to which most Palestinians are being subjected. Palestinians are not claiming that Israel is gassing them en mass. However, Israel is occasionally murdering Palestinians en mass by bombing their homes and denying them access to food and essential consumer products. Israel is murdering Palestinians by denying them access to health care abroad or in the West Bank. Israel denies that its treatment of Palestinians is reaching Nazi proportions. Well, then how can we describe the Gaza Strip which has been morphed into a huge concentration camp? Besides, must the level of Israeli Nazism meted out to the Palestinians be equal to that of German Nazism in order to sound alarm bells and alert the world that Jews are going too wild? And who says that the Palestinian victims of Israeli brutality must reach 6,000,000 in order to grant Palestinians a hearing before the world’s court? The holocaust was nefarious not because many of the victims were Jewish. (many millions of non-Jews were killed during the WWII). It was diabolical because innocent human beings were killed unjustly. The horrendous killings wouldn’t have been less evil had the victims been non-Jewish and their number a few millions less. The world must make every conceivable effort to prevent the recurrence of genocides and massacres and destructive wars. And one of the key ways to do that is to prevent Israel from using the Nazi holocaust to bully the world to keep silent in the face of Israel’s genocidal crimes and designs against the Palestinians and other peoples of the Middle East. Yes, the holocaust was evil, but it must never be used as an excuse for tormenting and savaging other people and trying to destroy their national existence which they have earned in spite of a cruel history. Indeed, if the world allows Israel to strangulate the Palestinians, starve Gaza by transforming it into an updated version of the Warsaw Ghetto, then the world will be effectively transforming itself into a real human jungle, a jungle that is far worse than a real animal jungle. 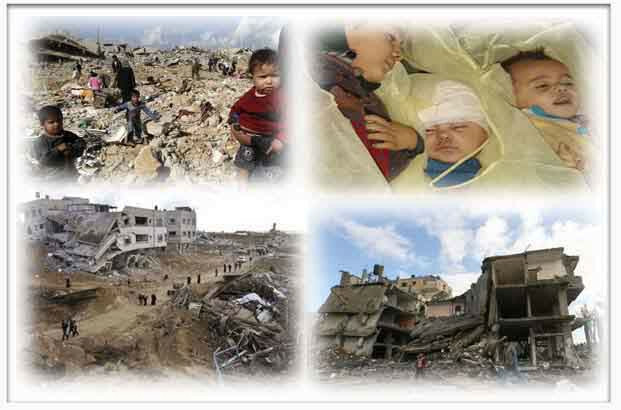 On April 3, 2012, the Office of the Prosecutor (OTP) of the International Criminal Court (ICC) decided that it does not have jurisdiction to begin an investigation over cases related to the 2008-09 Gaza War. In January 2009, the Palestinian Authority had filed a letter with the Court, purporting to accept the Court’s jurisdiction in order to bring war crimes cases against Israeli officials. Only states, however, may become members of the ICC. Due to political pressure from the Arab League, pro-Palestinian academics, and many NGOs, the OTP began a very public deliberation process involving NGO meetings, an on-line legal forum with UCLA Law School, op-eds in major newspapers, and submissions from outside parties (NGO Monitor’s submission can be found here. )[PDF] After more than three years, the OTP finally decided that “Palestine” is not a state, and therefore, it did not fall under the ICC’s purview. In response, many of the same NGOs that had lobbied the prosecutor in support of the PA’s goals attacked the OTP for its decision (see excerpts from statements below). These NGOs alleged that the decision was “political,” without elaborating how, and ignoring their own attempts to sway the ICC process. Additionally, the NGOs claimed that the decision was flawed because it denied “justice” for the “victims” – advancing the mistaken NGO conception of the ICC as a court of universal jurisdiction. In fact, as specifically stated in the 1998 Rome Statute – the governing framework of the court –, the ICC only has jurisdiction for war crimes, crimes against humanity, and genocide cases, in limited circumstances. The ICC was created to only adjudicate the very worst cases of mass murder and war crimes in situations where there is no functioning local judiciary. As reiterated by Richard Goldstone in his April 2, 2011 Washington Post op-ed and by many other commentators, the events of the Gaza War do not come close to meeting this threshold. As they had in their submissions to the OTP and in many other issues relating to international law, the NGOs were driven by their own politicized agendas, as opposed to what the law actually says. If the NGO approach to the ICC were adopted, it would essentially mean the re-writing of the Rome Statute.